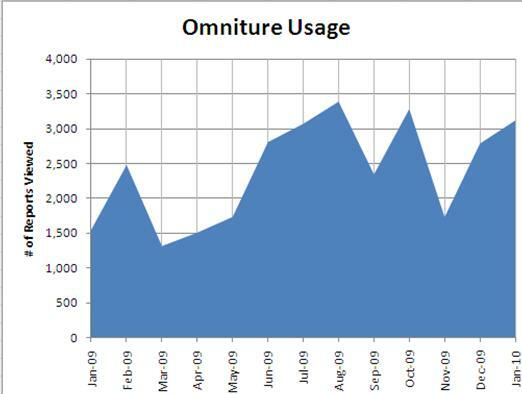 Every once in a while, I will get questions about how often people are accessing Omniture SiteCatalyst. In case this happens to you as well, I thought I’d write a (really) quick post with instructions on how to do this. Currently, there isn’t that much you can report on (I have requested more here) so this will be one of my shortest posts ever! Unfortunately, you don’t get much detail and basically are stuck with one metric “Views.” (which I assume is similar to Page Views). Once there, you can fill out the rest of the dashboard items. 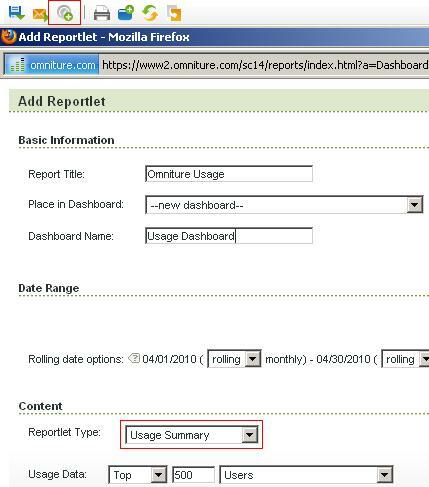 In the example below, I am adding a report that will show me the Top 500 users.